The Flex folds up to the cab and secures with prop rods. Few hard covers offer this. 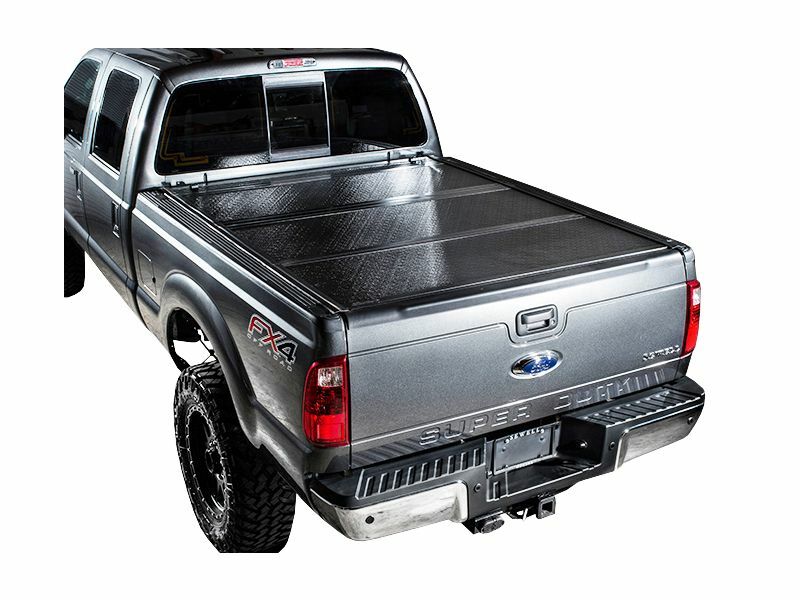 Integrated channels in the side rails guide water to the front and out of the truck bed. Keeps your cargo dry. FRP is extremely durable and impact resistant. The quality finish will last for years. Remove the cover in seconds without tools. Quick release hardware is included. No drilling required (most trucks) so you can leave the drill box in the toolbox. Preventing damage to your truck. The cover mounts inside the bed rails for a very sleek look. Flush design enhances the style of your truck. 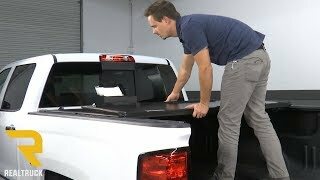 Installing the Flex model bed cover from UnderCover is easy and simple enough to do right at home. Your tonno has been designed to mount using common hand tools without any drilling or cutting needed. Some models may need to have some drilling done to properly install the drain tubes. We are always happy to answer any questions you might have about any UnderCover product. Feel free to call us at 1-877-216-5446 or 701-253-5906 for any additional information.